Do I need an adapter, a converter or both? How to charge my phone and cameras in Hong Kong? Electricity in Hong Kong is supplied at between 220 and 240 volts. This is twice the standard voltage than in North America and some Latin American countries which run on 110 volts. 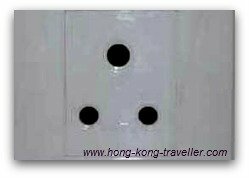 The kind of socket prevalent in Hong Kong is the British style socket, also commonly found is the Indian style socket. 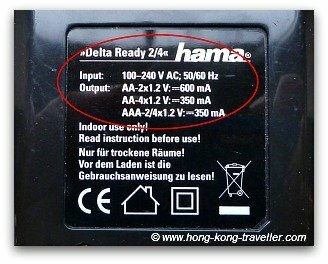 So when using electrical appliances brought from home to Hong Kong, or devices that require recharging, such as your photo and video cameras, rechargeable batteries, hair dryers, mobile phones and tablets, Nintendo DS, Sony PSP, and the like, you need to determine what kind of voltage your devices function under, if they do not run on 220-240 you will be needing an electrical converter. If your device's electrical plug has a different shape than the ones above, you will need a travel adapter. 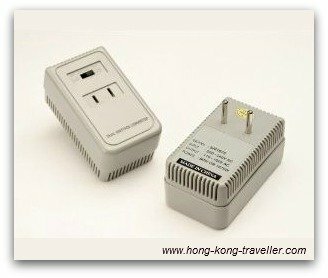 Do I need an Electrical Converter for Hong Kong? Most European countries use a voltage of 220V-230V, so if you are traveling from Europe, your appliances will function fine without a need for a converter. North American appliances however, run on 110V and so, you will need a converter so that your 110V item does not fry (literally) when you plug it into the 220V source. 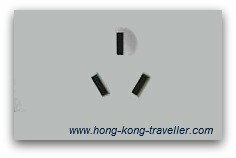 Most of the hotels in Hong Kong have both 110V and 220V electrical outlets in the bathrooms for low wattage items, your 110V electric shaver for example can be plugged in without problems. The electrical outlets are clearly marked either 110V or 220V. Some of your appliances might be "Dual-Voltage", that is, they will work fine at either 110V or 220V. In fact, the chargers that come with most modern video cameras, battery chargers, hair dryers, shavers, laptop computers, mobile phones, etc. are designed to sense the voltage automatically and adjust to the respective source. How to tell if you have a dual-voltage appliance? Look in the back of the charger or item where the power input/output is described. That tells you the voltage the device will take. If it says 110V but there is no mention of 220V or 240V, your device only works at the lower voltage and you will need an electricity converter in Hong Kong. 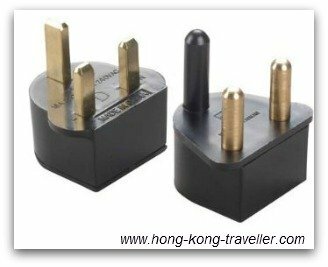 Do I need an Electric Adapter for Hong Kong? 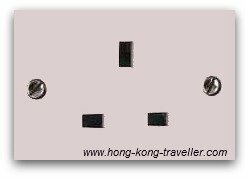 Now that you determined whether you have the right voltage to use your devices in Hong Kong, in order to plug them into the Hong Kong electrical outlets (sockets) chances are you will need an electric adapter, unless you are travelling from the U.K. where sockets are compatible with the Hong Kong socket. A travel adapter is simply a connector that matches the shape of your plug with the HK wall socket. An adapter does not change the voltage of the device, the converter does that. Some of the newer Western hotel chains do provide adapters in the rooms for the different styles of plugs in America and Europe, but do not expect that to be the case at smaller hotels and guest houses. 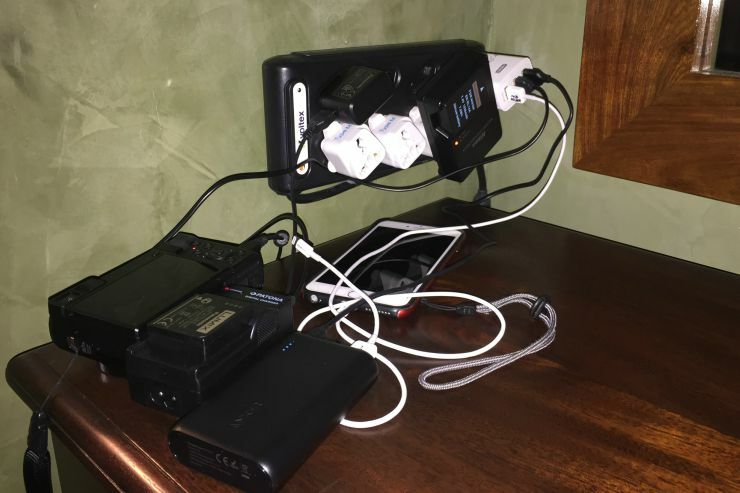 In any case, I would definitely bring a couple of Travel Adapters with me just in case, they are inexpensive and that will keep from having everyone in the family fighting for the one outlet in the room to charge their devices! When buying an Electric Adapter for Hong Kong pay attention that you are getting what you need, some "Universal" sets might include only US to Europe so it is best to double check. Some sets also include the converter, some only the adapters, some will have a combination of adapter and multiple USB ports, particularly useful if you are travelling with multiple devices that can be charged via USB ports. So yes, triple check again and make sure you get what you need. What about electricity in China? So in this case, you will also need a different adapter for China. See more about Electricity in China here. Adapters for this kind of outlet are also included in the "Universal" Travel Adapter Sets. Some of the adapters and sets also include a USB charger, which is what you will need for charging certain devices like mobile phones and tablets, you can also get the Apple World Travel Adapter Kit.